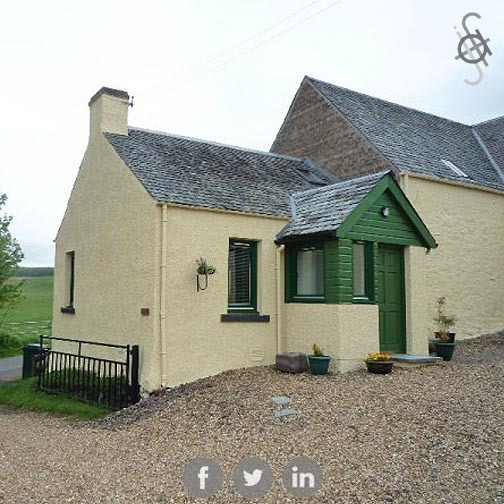 Situated high above the Conservation Village of Dunning, this little farm bothy is attached to the end of an L-shaped arrangement of farm buildings. 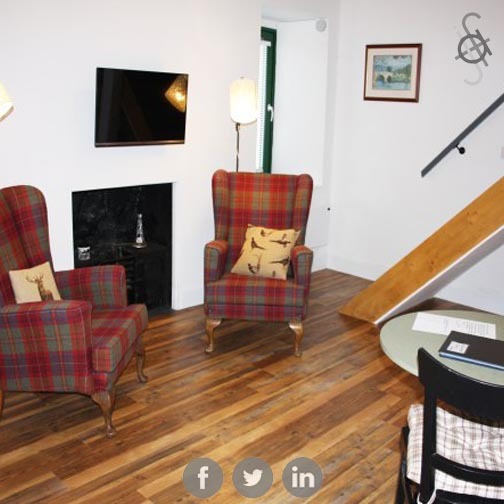 It had lain empty for a number of years and we were invited to breathe new life into it as a holiday cottage. It is one of the Practice's earliest design commissions. 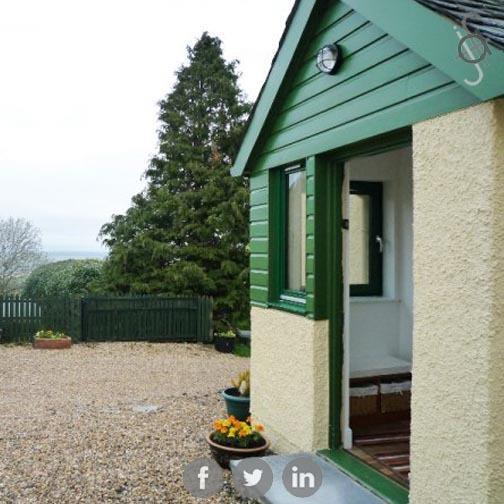 From the outside the cottage offers spectacular views across Strathearn and is the ideal base for walking holidays. 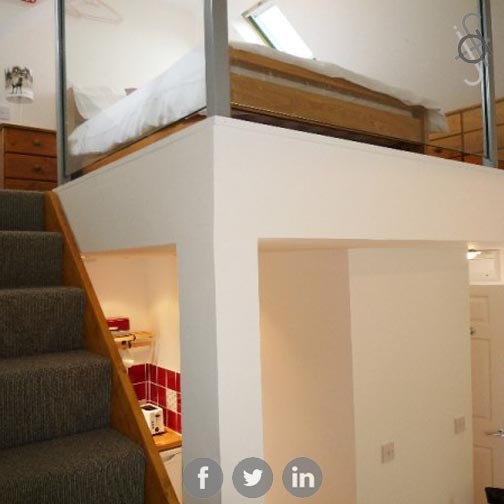 Occupying a very small footprint the accommodation is cleverly arranged to maximise the available space. Adding a smpathetic front porch means that much needed storage space, and shelter from the elements is achieved. Open plan living is very much at the fore in the compact conversion, with the kitchen, sitting room and dining area occupying most of the ground floor. A small hall and shower room occupy the remainder of the space. 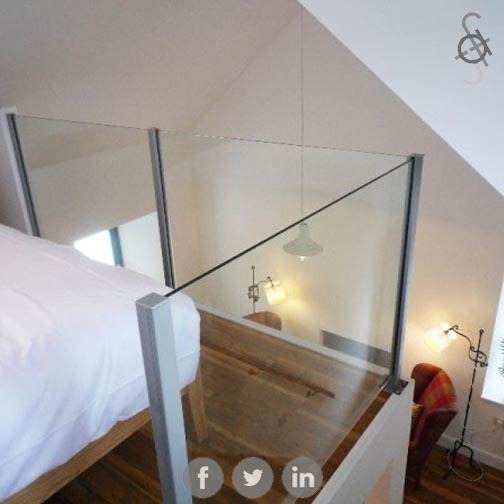 Up a narrow staircase off of the sitting area, the sleeping deck is on a mezzanie level, with glass balustrades all round to create the illusion of space and connect it to the main space. 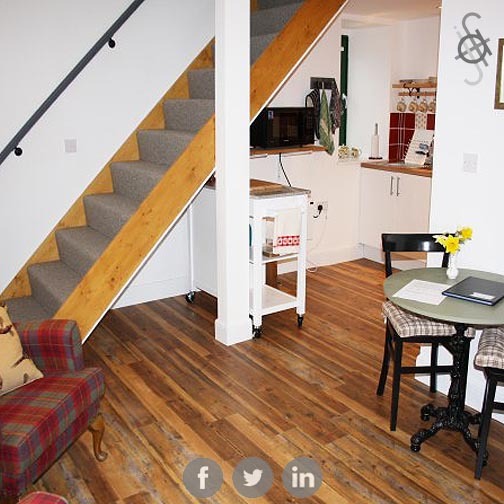 Every square inch of space within the building is used to its maximum potential creating a charming holiday retreat in rural Perthshire.